, Ltd is located in Guangzhou and is specialized in manufactuering sportswear including Swimwear&Beachwear, Board Shorts, Leggings and all kinds uniforms with the technic of Digital print(Sublimation heat transfer print). With strong production ability and advanced equipment, we have exported great amount of products to countries all around the world in the past few years and earn great reputation for good quality and best service. Chiyi sportswear allows people to exercise comfortably with trendy style, and our staff always cherish customers' happiness and loyal support as our best reward. shinny and elegant ruffle design on side of the abaya. its modest and fashion hajj islamic clothing with front collar beading. 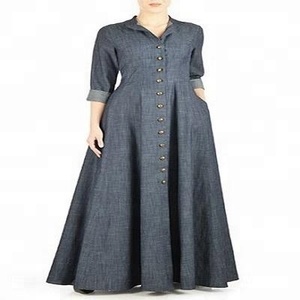 Muslim Women Abayas and Jilbabs are available in different fabric types and colours. We entertain our customers with high quality of stitching and fabric quality. Customize packaging service is also available. no lace no patch work, all hand work. then, we are gold supplier on alibaba , you can see no bad feedbacks or complaint ,we are trustable and reliable manufacturer. Package: 1piece/opp bag,mass put into carton or as your requirement --Q1: Can I mix color or size9 A: Yes. For women abaya, every design is mix color and mix size. if your quantity can be reached 120pcs/color/design, feel free to contact us with this service. 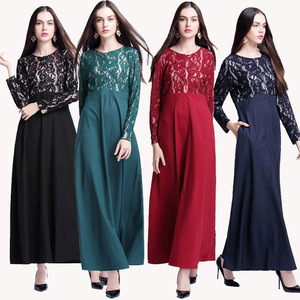 Alibaba.com offers 76,786 abaya products. About 77% of these are islamic clothing, 4% are casual dresses, and 2% are 100% polyester fabric. 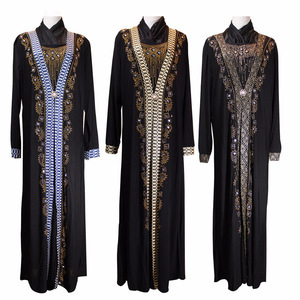 A wide variety of abaya options are available to you, such as women, girls, and men. You can also choose from oem service, make-to-order, and in-stock items. As well as from adults, children. And whether abaya is white, or black. There are 74,318 abaya suppliers, mainly located in Asia. The top supplying countries are China (Mainland), India, and Pakistan, which supply 71%, 17%, and 3% of abaya respectively. Abaya products are most popular in North America, Mid East, and Western Europe. You can ensure product safety by selecting from certified suppliers, including 1,964 with Other, 819 with ISO9001, and 415 with BRC certification.